Last weekend was all about shootin’ and lootin’ in The Division 2. And while that game will still be gracing our television screens, we now have From Software’s Sekiro: Shadows Die Twice to sink our teeth into. For those of you who will also be roaming the frustratingly difficult landscapes of Sengoku Japan, we wish you the best of luck. Trust us: you’re gonna need it. Brian Shea (@BrianPShea) – I’m going to attempt to play Sekiro this weekend, but chances are I won’t last long and will want to go do something relaxing. Overwatch and Marvel Strike Force are always my go-tos, but I may fire up something like Anthem. Kyle Hilliard (@KyleMHilliard) – Sekiro has made a strong first impression, so I plan on still going strong on that. I am also still dabbling with Crackdown 3 and Kingdom Hearts 3. Otherwise I need to watch the new episodes of Arrested Development and I have been making my way through One Piece. I might grill something, too. It’s still cold in Minnesota, but waaaaay less cold than it has been. It might be time. Suriel Vazquez (@SurielVazquez) – Banking motes and dying twice on the streets of D.C. while I think about Her. Nathan Anstadt (@NathanAnstadt) – I finally finished Final Fantasy Tactics (which was amazing! ), so now I’m onto the brave new world of Persona 5. Otherwise I’m going to try and find some good retro video game stores around Minneapolis, which is always fun. Andrew Reiner (@Andrew_Reiner) – I am now into The Division 2’s endgame and I can’t wait to see what lies ahead. I also want to watch Spider-Man: Into the Spider-Verse again on UHD with my family. Now that the weather is warming up, I may even go outside to exercise with a nice little run. As I think about the pain that will likely put me in, I’ll probably just play more Division 2 instead. Ben Hanson (@yozetty) – This weekend I’ll still be in San Francisco after GDC 2019, so I’ll be seeing some old friends and hopefully playing some fun board games! Other than that, on the flight home I’m sure I’ll continue to stare at and be stumped by Baba is You on my Nintendo Switch. I like it a looooot. Have a good weekend! Hunter Wolfe (@Hunter_Wolfe) – Jay and I will be starting The Division 2 together. It’s my first loot shooter, so I’m really excited to try something new. Play games outside your comfort genre – I promise you’ll find love you weren’t looking for! Jay Guisao (@GuisaoJason) – The Division 2 for sure. 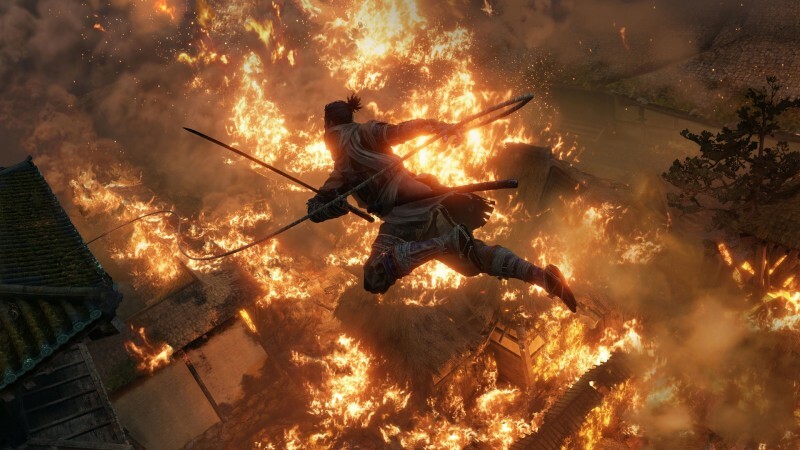 Sekiro: Shadows Die Twice, if I have the patience for it, of course.